Our top priority at Marvin Sheet Metal is our employees. We strive to promote the safety and wellbeing of all employees. Here at Marvin we are dedicated to keeping our team safe, so we can see everyone go home at the end of the day. Through the completion of weekly safety meetings and trainings we can ensure this promise is met. We want our employees to be protected today so we can see them stay healthy down the long road. With safety being our number one focus, Marvin Sheet Metal can reduce the yearly expenditures on medical costs and fines from violations. By doing so we will reduce our EMR and cut down on production loss. It is essential and mandatory that Marvin Sheet Metal Comply with government regulations such as OSHA, L&I. Not complying can result in fines and penalties. 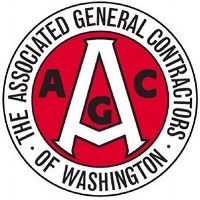 We want to promote and build positive relationships with General Contractors. By maintaining a clean safety record and complying with government regulations we can work on building relationships that continue to last. 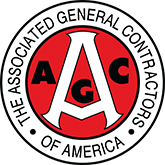 Not only can we create relationships, but we can also be part of a bigger picture such as being members of AGC and other associations.